Yes, Kartvelian surely show some connection with PIE, thank you for posting another nice piece of Article! :). Awesome job. I couldn't imagine anyother route except the Caucasus so the results make sense. I'll get my hands on Kartvelian mtDNA eventually. I'm sure a close relation to Yamnaya will appear. Try get some Mingrelian or Svan mtDNA. I reckon one or the other will be a bullseye. Why does Yamnaya land next to EHG in one tree, and have georgian migration, but in another tree land next to georgians and have EHG admixture? David, is it true that the 'near eastern' ancestry in Yamnaya was exclusively female, whilst the male ancestry was eastern European? That is indeed what it looks like at the moment. Good work Davidski. I can't be the only one noticing the Kalash pairing up with Iranians instead of Tajik_Shugnan, though. Any ideas what is going on here? Also, how would you interpret the 36% migration edge between the root of the pan-West Asian (Iranian + others) cluster with the Shugnan Tajiks? 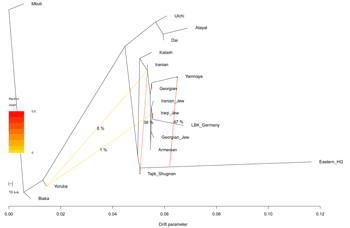 "High-throughput sequencing of complete human mtDNA genomes from the Caucasus and West Asia: high diversity and demographic inferences"
The positions of the Iranians and Kalash are based on their overall genome-wide structure, although minus Sub-Saharan admixture for the Iranians. So they're sitting next to each other not only because they share direct and indirect ancestry, but also because of admixtures that have the same effect in pulling them towards the base of the tree, like relatively high ASI in the Kalash and Arabian-related admixture in these Iranians. 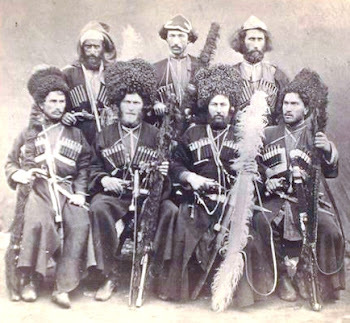 The Tajik Shugnans also have very complex ancestry, so it's very difficult to interpret their result. The 36% migration edge just looks like Near Eastern ancestry from various sources, while their position is mostly ANE/EHG-related, but it's probably also affected by their minor East Asian admixture. And these Tajiks are the least admixed, most European-like sub-population. Generally speaking I'd say these results aren't very informative for the Iranians, Kalash or Tajiks because the tree has too much to work with. That's why it's very impressive that the Yamnaya still manage to come out Georgian/EHG. "Origin and Expansion of Haplogroup H, the Dominant Human Mitochondrial DNA Lineage in West Eurasia: The Near Eastern and Caucasian Perspective"
It is also very interesting that Y haplogroups G2a and J2b are extremely high among in these people. Perhaps the Basque / Kartvelian language association has a tiny bit of validity? If they both are nemnants of Neolithic farmer languages. The end result of Shugnan Tajiks' placement in the tree and their additional Near Eastern migration edge makes their position "right" in relation to the Kalash, though visually this may not be so clearly represented. Comparable example here: Sindhi can be placed next to GujaratiD with a Near Eastern migration edge or closer to Kalash without a migration edge, both "resolve" them in that ultimately they are closer to Kalash than Gujarati are, the version without edge makes it just clearer to see. Btw, is that 6% Iranian Yoruba edge actually going into Iranians or to the root of Iranians and other Near Eastern populations? Yes that region is very high in G2a, but the J2b is not Caucasic. Only the J2a-M67. G2a-P303 U1+ is clearly an Abkhaz-Adyghean marker. G2a-P303 other branches has more IE like distribution. From India to Europe. G2a-P16 is a Kartvelian branch. It peaks in Svans reaching 80%. But Ossetians (IE-Iranic) are also very high in G2a-P16. The G2a-P16 in Europe could be linked to Alanian movements. It is present in Spain at 0.3% level. J2b is not Caucasic. Is has a more Graeco-Aryan look. I wanted to say G2a-P16 to Alanian movements also. Of course it could be related to Neolithic expansion also but it is very unlikely. The problem is that it is absent in large parts of Europe. Only Corsica, Sicily, Romania, Bulgary, Southern Spain have some G2a-P16. From 0.2 to 1.5 % level. This places correlate quite well to Alans. Yes, Georgians seem to be the best proxy for this ancient population, even if they've picked up a good amount of Near Eastern ancestry since then. It's no coincidence that they were used as the proxy for ANI in the ANI-ASI paper, nor that they are used on the qpAdm models for S-C Asians with the best results. Abkhazians in some test also look to be a good (better?) match. But that's rather expected given they're close neighbours. I was suggesting a connection through Neolithic farmers even before their migration through Europe. This would be around 10,000 years ago. G2a was obviously the main haplogroup of Neolithic farmers. I certainly wasn't suggesting that people from the later movements (like Alans) gave their language to the Basque. Yes I agree that G2a of Neolithic Europe could be the link between Basque and some Caucasian languages. It would be interesting to see what G2 subclades have Basques. Are they close to the Otzi Ice man L91 or not? Point is, the Near Eastern-related ancestry in the Yamnaya wasn't Indo-European. The Indo-European side was EHG. "Point is, the Near Eastern-related ancestry in the Yamnaya wasn't Indo-European." Based on the principle that the (partial) genetic continuity implies a language continuity during the last 6000 years? See? This is what I mean when I say that people use different standards according to their agendas. A very scientific approach indeed. I know that (nearly) all of you disagree with me :-) but, however, I want to offer another perspective and another interpretation: Maybe Yamnaya themselves spoke a language related or similar to Kartvelian lnaguages. Kartvelian languages show northern features and they are included in Nostratic, i.e. North-Eurasian languages. Georgian is an agglutinative language. It has no grammatical gender; even the pronouns are gender-neutral while in Nakho-Dagestanian languages, nouns display nominal classification (noun classes vary from 2 to 8 and are based on animacy and gender). Georgian has no articles. It is a left-branching language, i.e. adjectives precede nouns, possessors precede possessions, objects normally precede verbs, and postpositions are used instead of prepositions. The verb conjugation exhibits polypersonalism; a verb may potentially include morphemes representing both the subject and the object. Georgian has seven noun cases: nominative, ergative, dative, genitive, instrumental, adverbial and vocative. An interesting feature of Georgian is that, while the subject of a sentence is generally in the nominative case, and the object is in the accusative case (or dative), in Georgian, one can find this reversed in many situations (this depends mainly on the character of the verb). This is called the dative construction. In the past tense of the transitive verbs, and in the present tense of the verb "to know", the subject is in the ergative case. Ergativity is an areal feature in Caucasus, but also Basque is an ergative language. In Georgian, ergativity is not complete, while Northeast Caucasian languages and Northwest Caucasian languages and Basque are fully ergative. It rather looks like Georgian is a northern "steppic" language that has gained West Asian features. It's a coin toss which language was kept - the "native" steppic or the "new" Sth caucasian(-? Caspian) . Moreover; its false to believe that all steppe groups from Moldavia to Kazakh steppe spoke the same or even related languages prior to the big chain of events c.4-3000 BC. One language got lucky and became a LIngua Franca for the trade networks sweeping from the Carpathians to the Altai and Central Asia. Heck; it needn't have even been native to the steppe, but could have been from Georgia, Lake Van, or Hungary or eastern Poland. It then got carried by shifted speakers..
You guys still don't get it even though it's now basically cut and dried. There were two different types of farmers that expanded during the Neolithic; one similar to Sardinians and the other to Georgians. The Sardinian-like farmers dominated Europe while the Georgian-like farmers went east as far as India. The Georgian-like farmers also mixed on the steppe with pre-proto-Indo-European North Eurasian aka. EHG, to eventually form the Indo-Europeans. This eastern farmer/EHG 50/50 mixed population then expanded from the steppe into Europe and West Asia. There were also later movements of eastern farmer/western farmer/EHG mixed populations from the European steppe all the way to India. These were the Indo-Iranians who became Indo-Aryans. There's not much more to discuss except the very fine details. "Maybe Yamnaya themselves spoke a language related or similar to Kartvelian lnaguages." Who do you imagine spread Indo-European languages to Europe? Are you suggesting that Corded-Ware people also did not speak an IE language? Davidski, thank you for the reply. Makes complete sense to me. Kristiina, as a trained linguist (as I understand from some blog posts), what are your thoughts on the Indo-Uralic hypothesis? As I understand it, PIE and PU share some very deep cognates with another in terms of root vocabulary and the direction of further loans are PIE->PU. Given this, if true, it would only support Davidski's assertion that EHG is the ancestral entity responsible for the PIE language of Yamnaya (working with the Pontic-Caspian theory). This conclusion can be reached by inferring that the Near-Eastern-like/"teal" ancestry that made up half of Samara Yamnaya (which Davidski identifies here as being best approximated by a Georgian ethnic group) is effectively absent in both the Samara and Karelia HG's, which are much older than the typical dating of PIE to 5-6kya. If this is true, it would only serve to support Davidski's perspective. "It's a coin toss which language was kept - the "native" steppic or the "new" Sth caucasian(-? Caspian) ." Not exactly. If the S. Caucasian/Caspian language was the Indo-European one, then you also must explain why the people with the highest level of this genetic component speak an isolate language group. You are suggesting that the people who 'originally' spoke the now most common language family in the world, had their own language replaced by people from ??? where exactly? @Karl K – I think that Corded Ware and Sintashta were Indo-European and the Urnfield culture was Indo-European (Celtic) but for the rest I do not know. However, I am sure that there were several language families present both in the Steppe and Europe as well as in West Asia and Siberia. @DMXX – There are many hypotheses. In July, I proposed that perhaps Uralic languages are based on Indo-Uralic + Siberian/Native American type substrates and IE languages on Indo-Uralic + Caucasus/Teal stuff. However, I still think that it is not obvious that Yamnaya spoke an Indo-European language. I do get everything except one thing - "with pre-proto-Indo-European North Eurasian aka. EHG"
To me "EHG" and "PIE" lie on different anthropological dimensions, and are not synonymous. Corded-Ware are clearly genetic descendants of a group extremely closely related to the sequenced Yamnaya (but differing in some aspects). Their culture was also similar. Why would they NOT speak similar languages? I do not see reason for hesitation on this. As a Georgian I would really suggest trying Abkhazs as a proxy. they are close to Georgians )especially Mingrelians and Svans) and seem like a good alternative candidate for this type of ancestry in Yamnaya. Is there a connection between Georgian and Dravidian languages ? how is that, every time you make a comment, its the closest to the best anyone can give ? :). I still think that it is not obvious that Yamnaya spoke an Indo-European language. I think all languages are somehow connected, especially if its in Eurasia but no i don't think there is any special relation between Drv. and Georgian. KarL K - "Corded-Ware are clearly genetic descendants of a group extremely closely related to the sequenced Yamnaya (but differing in some aspects)." 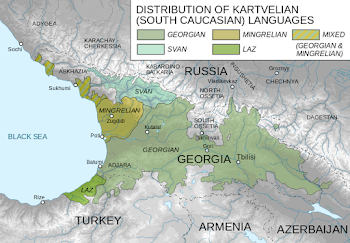 Karl, who do you think brought Kartvelian languages to Caucasus if they came from the north, as it looks like on the basis of the structure of these languages? Have a look at these graphs. That notes on Georgian are interesting. But do other members of Kartvelian family have the same features? For example the Svan language that is generally accepted as having the earliest split. "There were two different types of farmers that expanded during the Neolithic..."
How do you know they were farmers? On what archaeological site or sites are you basing that assumption? "You guys still don't get it even though it's now basically cut and dried. There were two different types of farmers that expanded during the Neolithic; one similar to Sardinians and the other to Georgians." "who do you think brought Kartvelian languages to Caucasus if they came from the north, as it looks like on the basis of the structure of these languages?" What are you talking about? What Northern structure? "We're all a bit slow with these things, you know... but eventually we do come around and "get it" (after one year):"
But seriously, he was talking about the ANE component at that time. Now it's the farmer part. But it is kind of ironic. Hehe, I'm just about the only one who gave some credit to what you were saying for years, so I ended up learning a bit. Davidski, yes, but those graphics lack Kalash reference point. In the second treemix, Yamnaya/Afanasievo cluster with Bell Beaker while Corded Ware and Andronovo come only next. Moreover, there are groups that are genetically clearly different but speak a similar language while there are groups that are genetically similar but speak different languages. It is surely not anything only restricted to modern days. Here is a paper about the eastward spread of those eastern farmers (not Indo-Europeans, they moved east later from the steppe). I am now convinced that Maykop culture will not have R1b but plenty of G2 and (possibly) J2. "Here is a paper about the eastward spread of those eastern farmers (not Indo-Europeans, they moved east later from the steppe)." How can you say they weren't Indo-European? People in North-West India speak Indo-European languages. Probably these first farmers brought these languages there. "is it true that the 'near eastern' ancestry in Yamnaya was exclusively female, whilst the male ancestry was eastern European?" Not 'exclusively' female. Y-haplogroup G2a3b is associated with Indo-Europeans. It could have come from these Georgian-like farmers. How does that support your claim? How does that paper establish that these were farmers and did not speak Indo-European? I'm trying to understand your reasoning, if you don't mind. By the way, the authors are claiming 8500 BCE for Mehrgarh and are not quoting primary sources. It's kind of a red flag, in my opinion. Maykop Must have R1b but something hints me that from earliest periods it should have R1a also. Again, G2a3b is more of an Abkhaz_Adyghe thing kartvelian. I believe that ancient Abkhaz-Adyghe speakers were closer to modern Georgians before becoming shifted North after mixing with Yamanaya. It also shows good connections with Northern Zagros /Zarzian area, the area which i think is or very close to the origin of Teal. "Again, G2a3b is more of an Abkhaz_Adyghe thing kartvelian. I believe that ancient Abkhaz-Adyghe speakers were closer to modern Georgians before becoming shifted North after mixing with Yamanaya." Disregarding some specifics for a moment. The fact is that this very small region seems to have a number of interesting genetic associations. The people speak a few diverse languages. They also have some very interesting mtDNA and Y haplogroup frequencies, and of course autosomal components (which is what the post is about). But also archaeological data. All the data together suggest that this area was likely near where a group of EHG peoples mixed with some kinda-like-EEF farmer/pastoralist people. One of these was almost certainly Indo-European. So, the specifics of which small community there, right now, has the most of some haplogroup is important for the modern history of those peoples. No argument. But, the people who actually did the mixing are all thousands of years dead. So until we have ancient DNA to compare, I am not going to worry too much about which population in the same area has the most of a haplogroup. These modern people with the most simiarity to the "farmer" side of the Yamnaya are not Indo-European speakers. That is all I'm saying. If we ever get any Eneolithic samples from Abkhazia I have a feeling they'll be perfect. So you no longer think that Iraqi Jews are the best modern proxy for the farmer/Near Eastern part of the ancestry of PIE. I guess we need Maykop to be NWC otherwise it is hard to imagine when could this group of anger speakers arrived to the place they live in now. AFAIK post-maykop does not show signs of a super-turnover of population. I didn't even think you were arguing. I was just trying to be clear that I agreed with you. But that I don't think it matters to this situation. "There were two different types of farmers that expanded during the Neolithic; one similar to Sardinians and the other to Georgians." I almost made this comment the other day ago in the Black Sea discussion, but stopped just short. If starting with a model that mesolithic foothill farmers of the S. Caucasus and Zargos ranges were different from the Natufian/Anatolia-like farmers, is it possible to see if an ENF farmer has a portion of the former in his ancestry? In other words, you have basically said that this mountain component lacks basal pieces of ENF, but could it be shown the opposite is true? Could ENF a hybrid between foothill farmer and basal Eurasian? Kristiina, a connection between Kartvelian and Finno-ugrian? How many Kartvelian words are postulated as present in PIE? The Semitic and Caucasian vocabulary that was borrowed into Proto-Indo-European through Kartvelian therefore contains roots that belonged to some Pre-Kartvelian or Proto-Kartvelian language in the Caucasus. This language had relations, through unrecorded intermediaries, with Proto-Indo-European on one side and Proto-Semitic on the other. That is not a particularly close lexical relationship. If Proto-Kartvelian was spoken on the south side of the North Caucasus Mountain range, as seems likely, it might have been spoken by people associated with the Early Transcaucasian Culture (also known as the Kura-Araxes culture), dated about 3500–2200 BCE. They could have had indirect relations with the speakers of Proto-Indo-European through the Maikop culture of the North Caucasus region. Many experts agree that Proto-Indo-European shared some features with a language ancestral to Kartvelian but not necessarily through a direct face-to-face link. Relations with the speakers of Proto-Uralic were closer. "Yes, Mehrgarh in stricto-senso is from 7000-6500 BC...."
Indeed. I'm aware of the evidence supporting an earlier date, but, if the lead excavator is more comfortable with 7000 BCE for initial settlement, I think it wise to follow his lead. Still a truly remarkable site. It also bears saying that Mehrgarh was a fully-developed, agro-pastoral culture from its foundation, and therefore must have developed at an even earlier date at some other site or sites. "It also shows good connections with Northern Zagros /Zarzian area, the area which i think is or very close to the origin of Teal." That is a distinct possibility, but I still favor a broader area. The modern peaks in the Caucasus and Afghanistan suggest that the teal component may have been very high throughout this region and subsequently diluted. You're quite right about Mehrgarh's apparent roots in the Zagros. The lead excavator specifically cited parallels with Ganj Dareh, in the Central Zagros, as I recall. Is there anything like Circassian or Abchazian autosomal DNA available? These people speak a Northwest-Caucasian language, which according to a paper you recently posted about is the substrate of PIE. Would be nice to see if TreeMix prefers it over Georgian. If such a thing can actually be done. Both farmer groups were essentially of Near Eastern stock and carried the Basal Eurasian component. But I'm guessing they must have split from each other just as the Neolithic was starting. As far as I can tell, Georgians should be pretty close to the eastern farmers, maybe as close as anyone today. So looking at the usual PCA of West Eurasia, maybe the western and eastern farmers were like the southern versions of WHG and EHG? Abkhazians produce similar results to Georgians, but not as often. Adygei don't seem to work at all, probably because they have too much recent admixture from the steppe, including East Asian ancestry. Nirjhar, sorry, cannot help you, as currently, I am making analyses and it is not yet time for a synthesis. Aram, I think that all those features that I listed are valid for all Kartvelian languages but please correct me if I am wrong. Maybe the language spoken by Yamnaya was a kind of a protolanguage for proto-Kartvelian, proto-Indo-European, proto-Uralic and proto-Altaic. In any case, these languages form the core of the Nostratic hypothesis. By the way, Hittite does not have the Indo-European gender system opposing masculine–feminine; instead it has a rudimentary noun-class system based on an animate–inanimate opposition. Hittite does not use prepositions but postpositions as Kartvelian, Uralic and Altaic languages. Brigitte Bauer writes that “the fact that cognates of postpositions in the early IE languages occur as prepositions in the later ones suggests that postpositions changed place and became prepositions”. In general, gender system is the biggest difference between IE-languages and Uralic/Altaic/Kartvelian languages. 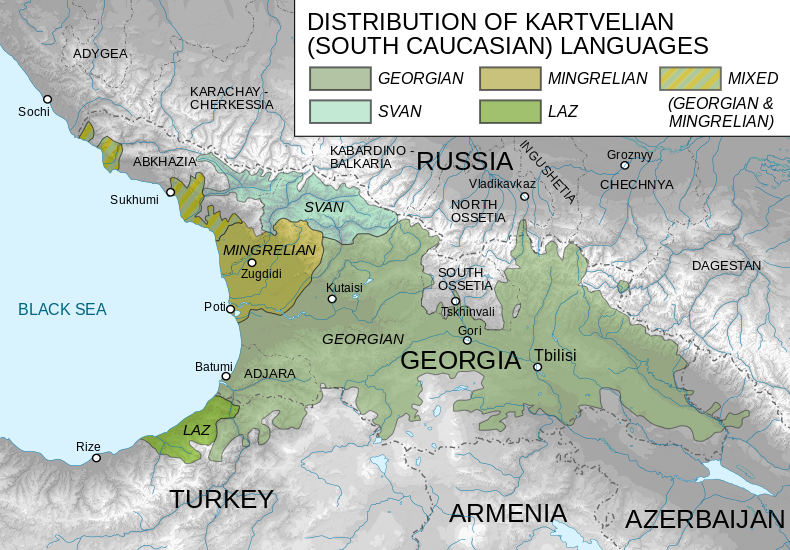 Kartvelian languages may be the most divergent from the common core of Kartvelian, IE, Uralic and Altaic languages but IMO they are all closer to each other than for example to Northeast Caucasian languages (because of ergativity, noun classes) or Northwest Caucasian languages (because of ergativity, paucity of cases, only one finite verb in a sentence which precludes the existence of subordinate clauses in the Indo-European sense) or Basque language (because of ergativity and polypersonal agreement in which auxiliary verb, agrees not only with the subject, but also the direct and indirect object) or Semitic languages (because of consonantal roots, use of infixes, suffixes and prefixes, rare Verb Subject Object word order, use of imperfective tense for the present, future and past). Erm, isn't Georgian like Polypersonal, Semi-ergative and etc like NC languages and those of the Middle East? Abkhaz from what I know also have a small East Asian admixture (a bit above Georgians) that may be obscuring things. Why so confident pre-PIE is from EHG? If Yamnaya spoke PIE any of their ancestors could have been PIE, why does it have to be EHG? R1b-M269 could very well turn out to be from their Near Eastern ancestors. That'll ill legitimize your argument pre-PIE is from EHG because admixture was EHG male+Near Eastern female. Another question, so you're confident Georgians are a mix of a ANE rich people from the north and farmers closely related to EEF from the Near East? I'm skeptical of this because West Asian mtDNA is very unrelated to EEF besides having the same package of Middle Eastern haplogroups. Their subclades of JT, HV, U, and N1 either separated before the Neolithic or have very differnt frequencies. There were people who were not farmers that lived in West Asia. I don't see why they could not have been closely related to early farmers and important ancestors of West Asians today. Here is an old paper about Caucasian Mtdna. I dunno if it still relevant and if the data was sequenced properly but it seems Caucasians are actually much closer to Europeans on Mtdna level than the rest of West Asia. Especially Georgians. As PIE and proto-Uralic undoubtedly were in contact which each other as well that question doesn't even need ancient DNA to be answered. Mind you, some linguists even entertain a theory of common origin: The Indo-Uralic languages. Y DNA Haplogroup L3a is apparently most common in the Kalash and found at significant frequencies in the Caucasus (at least according to the wikipedia map) I'd venture to guess that is the original Y haplogroup of the teal component. "It seems a very deep connection, too deep for simple loan words, some say." If you put Proto-Kartvelian and Proto-Uralic in a blender, I bet you get something very similar to PIE. Cool, although treemix is always sensitive to the input populations - it fits their relatedness to the topology of what is available. Whoever mixed into EHG to form Yamnaya (if that is what happened) was akin to these Georgians (although I don't know if the urheimat for Kartvelian itself is sorted out, or possible to sort out). I'm surprised that Treemix makes the Yamnaya's non-EHG clade ancestry *so* akin to the Georgians though. The Georgians in the Haak K16 admixture were only around 60% in the "teal" cluster, the rest being the EEF and a little HG. Sardinian is a good proxy for EEF by comparison, but does seem closer to EEF than I would expect Georgian to non-EHG ancestry in Yamnaya. What about the little square figures treemix often produces showing how much the variance in relatedness is explained? Do they show it's pretty much all of it? However, the connections to both proto-all-kind-of-Caucasian-languages and proto-Uralic, which both are very well attested for, make it clear where PIE originated. In between them. Do you know what the Rise conference is on the 22nd of October? Does the Rise project have several phases? Can you tell me what you know about forager social networks and clan densities ? What do u know about the settlement pattern in northwest Eurasia, incl the steppe, prior to 4500 BC ? The Georgian-like farmers also mixed on the steppe with pre-proto-Indo-European North Eurasian aka. EHG, to eventually form the Indo-Europeans." As you say though there are still unanswered and intriguing details left to understand. For one, why there is so much G2a left in the Kartvelians and other Caucasians, and why there is so little in Yamnaya, Corded Ware, and present day Europe. I know we touched on this before but I think especially now it deserves more thought. I’m also curious about dating the split between the “east” and “west” farming populations — perhaps looking at the uniparental markers in detail could help with that as well. Davidski: "There were two different types of farmers that expanded during the Neolithic; one similar to Sardinians and the other to Georgians. The Sardinian-like farmers dominated Europe while the Georgian-like farmers went east as far as India. The Georgian-like farmers also mixed on the steppe with pre-proto-Indo-European North Eurasian aka. EHG, to eventually form the Indo-Europeans." Tesmos: "I am now convinced that Maykop culture will not have R1b but plenty of G2 and (possibly) J2." a) the early Neolithic split of J2b2a-M241 (YFull 9700 ybp) in to the western (L283, Balkans) and eastern (Z2444, India) subclades: http://tree.j2-m172.info/?Hg=J2b2a No autosomal (farmer?) connection anymore? b) The expansion of most J2a subclades (mainly M67 and L24) supposedly to the West and South into Fertile Crescent and Mediterranean Europe in late Neolithic and Bronze Age. The typical Georgian/Caucasian subclade is J2a1b2-SK1321 (YFull 9200 ybp): http://tree.j2-m172.info/?Hg=J2a1b2 Where did J2a come from if not from near the Southern Caucasus with likely eastern farmers atDNA at the time? c) The expansion of the "Semitic/Nomadic J1" into the Arab peninsula also supposedly from a region near Southern Caucasus since late Bronze Age. I don't know when the Rise project is supposed to finish, but I do know that they're planning or already testing many other ancient remains. So it's likely that they're also testing more Bell Beakers. Also, Bell Beakers from Iberia have already been tested at Harvard. I don't know the results. I remember reading somewhere or someone telling me that they're different from the Central European Bell Beakers, which makes sense. No idea how different though. The division of Neolithic groups into western and eastern farmers is probably simplistic. There may have been more than two distinct groups - like west, east and south - which came into contact again during different phases of the Neolithic. "Now, judging by their ADMIXTURE results, these Georgian Mingrelians do carry some Early European farmer-related ancestry, which is missing in the Yamnaya (see here). Therefore, it's likely that ancient samples from the west or northwest Caucasus will prove to be even better proxies for the Near Eastern-related ancestry in the Yamnaya." Remember my comment few weeks ago? while ancient North/West Caucasians would be something like pred teal with allot of EHG. Ancient western Caucasians won't have much EHG. They'll be like Georgians without any EEF. "That is indeed what it looks like at the moment." As long as we don't have ancient samples from the Iranian Plateau, South_Central Asia and ancient Caucasus we can't be sure. But it looks more and more like PIE was simply like a freakn blend of Proto Caucasis with Uralic like tongue. Also good to see that my theory with the three farmer groups in the ancient Near East has reached so many ears. Maciamo is also with this theory. The ancient Near East (at least by mid-late Neolithic) would have been divided into three major groups. West farmers (EEF) , East farmers (teal) and South/Southwest farmers. And than there would be merging points in between. like Mesopotamia and SouthCaucasus the merging point of East and West farmers, while Jordan/Israel the merging point of South and West farmers. Similar to how their is a fluent transition from WHG to ANE over EHG as David pointed out. I agree with some of your points ; but PIE isn't a "blend", as in a mixed language- linguists are very clear about that. Language shift and substratum effects are a different - and likely- scenario. "~50% ancestry from female groups, that would mean a 100% replacement of local females with foreign once. Never happened in history and never seen something like that happen"
An ADMIXTURE event that is all males from one groups and all females from another is impossible. By the luck of the draw an EHG paternal lineage(R1a-M417) could go through a founder effect and replace all other EHG and Near Eastern Y DNA. Yamnaya mtDNA though is 70% is Near Eastern while less than 70% of ancestry is Near Eastern. Indo-European is Proto-Indo-European with Proto-Kartvelian influences. The Proto-Kartvelian population didn't have much, if any, EHG because if it did you wouldn't see the TreeMix results above. So that's a good reason to doubt that it had any R1. And clearly not all female EHG lineages were lost by the steppe nomads, since they do have plenty of mtDNA U. But the Proto-Kartvelian females contributed just over 50% to the autosomal mix. George, yes, Georgian is semiergative and polypersonal. My interpretation was that it rather looks like Georgian is a northern "steppic" language that has gained West Asian features. Polypersonalism is found also in the north, e.g. in Erzya/Moksha (Uralic), Ket (Yeniseian), Eskimo-Aleut, Burushaski (isolate), Basque (isolate), many Native American languages. I have very basic knowledge in linguistics. But as far as I know Svan language is quite different from other Kartvelian languages and it has very archaic features. This is the reason that Klimov proposed a split of Svan at 4000 ybp from the Proto-Kartvelian. ""Svan, like the other members of its family, Georgian and Laz-Mingrelian, has a complex pattern of case marking and rich verbal morphology. In terms of phonology, morphophonemics, and lexicon it differs sharply from the latter languages and is believed to have diverged from the ancestral Kartvelian language some three or four millenia ago."" Also about genders. Armenian has no genders. Hurrian and Urartian has no grammatical gender. Sumerian and Elamite distinguish animate/inanimate like the Hittite. Is your Indo-Uralic theory published anywhere ? @Kristina - thank you, I get your point but it's hard to imagine when this could have happened ( I mean Kartvelian settling where it is now from the North). "Is your Indo-Uralic theory published anywhere ?" It's neither Kristriina's or mine. The intimate connection between Uralic and PIE is a widely recognized idea. Onekind of relationship between PIE and PU that would account for the apparently shared pronouns, noun endings, and basic vocabulary would be ancestral: The two protolanguages could have shared a very ancient common ancestor, perhaps a broadly related set of intergrading dialects spoken by hunters at the end of the Pleistocene. Nichols (1997) called this kind of very deep, apparently genetic grouping a quasi-stock. Unfortunately, relationships that deep cannot be demonstrated with any confidence even by state-of-the-art statistical assessment (Kessler & Lehtonen 2006). Especially the assumption of a very, very old (mesolithic) common origin is interesting. Uhlenbeck’s view can be unified with Gimbutas’ theory of a primary homeland north of the Caspian Sea and a secondary homeland north of the Black Sea (cf. 1985). What we have to take into account is the typological similarity of Proto-Indo-European to the North-West Caucasian languages. If this similarity can be attributed to areal factors (cf. 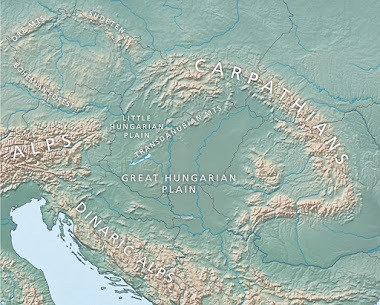 Kortlandt 1995: 94), we may think of Indo-European as a branch of Indo-Uralic which was transformed under the influence of a Caucasian substratum connected with the Maykop culture in the northern Caucasus. Because now David has shown that a similar set up as linguistics consider to explain PIE comes forth from the ancient genomes. @ David, thanks for residuals. As per the first treemix paper: Positive residuals indicate pairs of populations where the model underestimates the observed covariance, and thus populations where the fit might be improved by adding additional edges. Negative residuals indicate pairs of populations where the model overestimates the observed covariance; these are a necessary outcome of having positive residuals, but can also sometimes be interpreted as populations that are forced too close together due to unmodeled migration elsewhere in the graph. So restricting myself to the first tree, residuals are most positive for Armenian and LBK Germany, Eastern_HG and LBK_Germany (probably tracks some HG signal into LBK_Germany) and Eastern_HG and Ulchi, so these are a little more related than the graph shows. Yamnaya and Georgian do not seem to have very high or low residuals so this tree plus edges captures their relatedness to one another and others relatively well. I can't tell whether the residuals overall are relatively high (poorer fit) or low (better fit); they look quite low, by comparison with world graphs (perhaps just 'cos these are all quite closely related West Eurasian populations and not world populations). With even something like "Altaic" (as Turkic-Mongolic-Tungusic) being a disputed family, reconstructing major ancient macrofamilies like Nostratic or Eurasiatic seems an insurmountable task unless someone makes a Nobel-worthy breakthrough in linguistics. In any case something like Gerhard Jäger's recent paper can show at least contacts, and in absence of proven genetic relationship that may be all we have to work with. If we look at the "red" families, grouping of Turkic, Mongolic and Tungusic does at least reflect their known geographical proximity to each other and ensuing contacts. That they are an outgroup to the "Paleosiberian" isolates of Yukaghir and Nivkh as well as Uralic, Indo-European and Chukotko-Kamchatkan makes sense too as these languages should be older and their possible contacts with each other would plausibly predate even the earliest expansions of Tungusic and Turkic in Siberia. But we are in the dark when it comes to genetic relations between these. The "Indo-Kamchatkan" pair would be less tight in the tree if it wasn't for some (chance?) words specific to Celtic resembling Chukotko-Kamtchatkan, and the paper itself notices that this pair is not considered to be the closest relatives in various Eurasiatic hypotheses. That is true. However, no matter how you construct it, there must have been some sort of intimate contact between PIE and proto-Uralic. The similarities point to a deep connection (personal pronouns, negation, and so forth). And thus PIE must have had an origin in between the Caucasus and the proto-Uralic homeland. From which follows that the southern influx from the Caucasus can only have provided the substrate. One thing that's being overlooked here is that the "Georgian-like farmers" weren't originally Georgian-like. They became Georgian like after they left the Fertile Crescent and admixed with a completely different population, known as ANE. Coincidentally, that ANE population is the same one that mixed with European HGs in the eastern part of Europe in similar proportions as it did with the "farmers" than then became "Georgian-like". R1 didn't come from the European HGs (who were probably I or C originally), nor from the Fertile Crescent Farmers who went north and east, who might have been J2 or G2 or something else originally. R1 came from the ANE population who mixed with both of those 2 other populations. In the case of the Eastern European HGs, it's clear that the male lineages were replaced by this ANE population, while mtDNA lineages probably remained from the Euro_HG side. 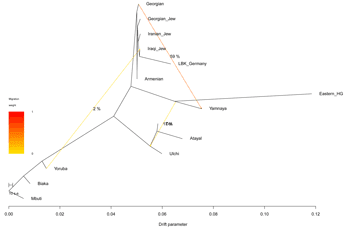 In the case of the "Georgian-like farmers" we don't know so certainly, but it seems that the mtDNA also was predominantly Near Eastern, which probably means that is was also the male lineages that were replaced by this ANE population. As for the language, it's quite more difficult to say. But the best bet is that it also came from the ANE side. It's hard to imagine that it came from the Euro_HG side, and it's also unlikely that it came from the Fertile Crescent (where we haven't found any IE language). Who of the 2 groups took the pre-IE language again we don't know. But at least one of them did. Or maybe both did (though apparently, the Karelia_HG didn't speak any pre-IE language, or so experts suggest by the substrate in the Uralic language of Karelia). We do know that EHGs didn't "invade" the Georgian-like territory (that by the middle to late Neolithic was probably all of what was later called Ariana). It's the other way around: the "Georgian-like farmers" were the ones who made their way into EHG territory. They also brought the Neolithic package with them there (though only part of it could be adapted to the steppe environment, mostly domestic animals). And apparently, and most likely, their culture and burial rituals too. I don't know how much continuity can be established between the cultures related to the Samara_HG (pre-arrival of "Georgian-like farmers") and the Khvalynsk culture (post-Georgian-like farmers arrival). But probably this would be an interesting topic to look at closely, since it could establish how much each of these two groups contributed to the PIE steppe cultures. Which of the ANE/EHG samples tested to date are C or I? I certainly agree with what you say. However, there are qualifications we need to consider. For example, a genetic IE-Uralic relationship is not the consensus view, despite "intimate contact". moreover, the overwhelming majority of IE - Uralic contact, is by way of specific IE dialects - esp Indo-Iranian. "Pure" PIE is more difficult to discern, but acceptable. Now based on your cited similarities (prnouns, etc), how can you be so sure that this dictates a specifically steppic genesis of PIE. The honest answer is that it does not. We don't know what other languages existed on the steppe which might have been even closer to Uralic. We don't know what other languages imparted influence on Uralic, that are now extinct thus undiscoverable. We don't know about the dynamics of loan trajectories (so-called dominant languages, etc). Would an IE "homeland" in Bukovina or Abkhazia in any way render impossible the known contacts/ similarities between Uralic & PIE ? The answer is again no. Similarly, that IE had terms for woolly sheep and wheel do not mandate a strictly steppic homeland. It merely establishes a chronology. So I think linguists need to be realistic (ie honest) with what they claim to 'conclude'. Language is a function of human behaviour - which is difficult to predict. But before the advent of agro-pastoralism from the south, the steppic communities were foragers. ie small-scale, fluctuant groups with open and consequently labile language borders. Not to show a bias against foragers (which im personally very fond of, actually), but the communities c. 3000 BC were very different to those c. 6000 BC. European HGs (pre ANE arrival) were either I or C. ANE arrival brought R1. EHGs are post-ANE arrival, obviously, that's why they are R1. So you are suggesting that EHGs didn't contribute much to the PIE steppe cultures? The cultures came from the south, in your opinion? OK, so the Proto-Indo-European EHG foragers native to North Eurasia (including Eastern Europe) belong to Y-hg R and the Kartvelians bring the Near Eastern admixture and mtDNA to the steppe. EHGs are not PIE. Who ever said that? 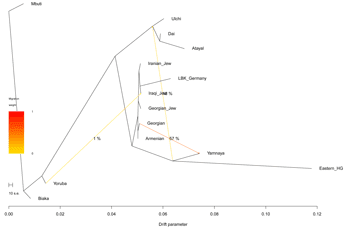 We don't know (yet) precisely when where the Y-DNA markers of the "Georgian-like farmers". If they mixed with ANE populations and kept Near Eastern mtDNA, then they probably had ANE Y-DNA (which was R1). But we have to wait to confirm or deny this. There is no problem. I was making a summary and asking mostly how much continuity can be established between the cultures related to the Samara_HG (Elshanka and the like) with the subsequent ones (after the arrival of the "Georgian-like farmers"). That should give us a good indication of how much each of the two populations contributed to the PIE cultures of the steppe. If by "IE" you mean the Copper Age steppe cultures, then my answer is no, EHGs didn't contribute much to the PIE steppe cultures, but I'll qualify this later. The specialised pastoralist economy, the wagons, even the kurgan graves themselves, these all developed under the aegis of neighbouring agricultural communities, if not outright settlement. But Im not making any *genetic* conclusions on this- specifically about Y DNA haplogroup R1 branches, suffice it to say they might have been at least two or more 'expansion events' of R1 lineages (ie the post-glacial, the Copper-bronze Age one, but also possibly a Neolithic one). Now, the exception is the Kazakh steppe - the people of the "Botai culture". These guys went straight from forager -hunters to horse domesticators, and then picked up elements of farming from the West (Yamnaya) and the east (Afansievo). Notably also is that, unlike Yamnaya, there is very good evidence for settlements/ dwellings in this region. How do Kartvelians get their And admixture in this case. For Eastern Caucasus it is really simple. We have a lot of r1b and Kura Araxes culture. These Georgian Mingrelians don't have much EHG admixture. They probably have something else related to ANE and EHG that has a very ancient presence in the Caucasus. That's why the TreeMix analysis works so well for the Yamnaya sample. The admixture we're talking about here took place on the steppe, probably initially between early Khvalynsk people and Kartvelian women coming from the Caucasus. Women moving to live with their husbands is called female exogamy and male patrilocality, and it's well documented in Bronze Age Europe. This was done to keep down inbreeding and make sure the men held on to the territory and thus wealth of their paternal ancestors. I have no doubt that this is what resulted in the Kartvelian influence and/or Caucasian substrata in Proto-Indo-European, as well as the dominance of EHG Y-haplogroups in Yamnaya, Corded Ware, Andronovo etc. Maybe I put it too strongly, and the possibility of a language currently extinct leaving its considerable traces in both Uralic and PIE is there. As are evenmore complicated scenario's. But the proposed thesis actually works like a charm: It explains why the similarities are in words which hardly ever are loanwords or pop up in languages from substrate languages. It predicted some things which were confirmed by archaeology and are confirmed by genetics. Would you agree it's at least a plausible scenario? "developed under the aegis of neighbouring agricultural communities, if not outright settlement." I totally disagree. None of these agricultural communities were nomadic pastorialists. And neither were the farmers of western Europe. This was a very major change in agricultural culture. The nomadic, non-stationary lifestyle was the cultural contribution of the hunter-gatherers. And this new way of herding was what likely led this particular fusion of cultures to be so successful over such a large region. Of course it's plausible. In fact, it's parsimonious. All I'm stating is that the observed relationships between Uralic and IE can still work if IE "developed" a somewhat further west, or south, of the steppe; correct ? Moreover; we should be careful in inferring what we think is the perfect storm- the marriage of language, archaeology and genetics. The archaeological picture, imho, reads a little different than generally beknownst. And the genetics is almost clear, but a wee way to go yet. So the final picture will be very interesting to see. I would like to read more of the article, but Google Books only provides five disconnected pages from a total of 27. Therefore I cannot write anything about Nicholls’ reasons for making this statement. Does anybody know more on this subject? Any Person who thinks here that PIE had closest relation with Uralic, my advise to him/her is to jump over a cliff. You can find the Research of hers in Scribd. "my advise to him/her is to jump over a cliff." You should consider that some people here are a bit mentally unstable, and might actually jump off a cliff. I don't think that would help anyone. Very interesting and great discovery. It makes sense that Georgian-like farmers spread so eastwards and into the steppe. Some even associate Pre-Indo-European river names in the Hindukush and elsewhere in South Central Asia with Caucasian river names or terms (Kuban/Kabul, Sind,... ). But I wonder if this Georgian-like farmers were the first ENF population there or if there were earlier ENF waves into Central and South Asia. If Kartvelian arrived in the western Caucasus from Central Asia before the mixture event that we're talking about, then that's OK, it doesn't really change anything. But keep in mind that we're basically rooted to an area of Eastern Europe somewhere directly north of the Caucasus, as well as an Eneolithic date, because of the provenance of the Eastern European hunter-gatherer (EHG) samples that are one half of the ancestry of Yamnaya, and also 3/4 of the ancestry of Khvalynsk. 1. Could a significant Kartvelian/Maykop link .... //.... Southern Farmer/ANE/Steppe link be the mysterious "dolmen people" (and also what might their relation be to 'teal people'). 2. Your K9 run shows no teal in EN and MN Spain (nor does Haak). Have you specifically looked at El Trocs (Troc3) R1b1c c. 5,100BC and El Portalon ATP3 R1b1a2(allegedly according to some????? )to see if there is a teal component in those specific samples? (I am speculating one may have a dolmen link). I am just toying with some possible linkages. I have never come across any theory stating that the Anatolian IE languages came from Central Asia. Could you elaborate regarding what Nichols says on that issue if possible?
" could go through a founder effect and replace all other EHG and Near Eastern Y DNA. Yamnaya mtDNA though is 70% is Near Eastern while less than 70% of ancestry is Near Eastern." Krefter you seem to have missed the various times when users made comments which actually tried to explain that 30-40% Caucaso_Gedrosia (aka West Asian) like component does not equal actual Near Eastern ancestry. Simply by the logic that ANE type ancestry would carry some sort of North European type component with them, to everywhere they went and blend in to form new population, it is very unlikely that the Teal farmers did not carry some North Euro type ancestry with them. In fact If BaArmenian samples is in anyway representative of ancient samples from this region (which I am convinced off), they are the perfect confirmation for this theory. The BaArmenian samples appear to me like ~40% EEF and 60%teal. They had ~20% North Euro component which probably comes in connection with their teal ancestry. That makes me think that full blooded teal farmers might had 1/4 of North Euro type ancestry. According to my theory they would have been like ~50% Gedrosia, ~20-25% North Euro, ~10-15% Caucasus and 5-10% Atl Med with ~5% South Eurasian type ancestry. The North European would simply have come as part of the ANE package, just like their seems to be some ~8% Gedrosia type ancestry in EHG which is not really from Western Asia but came via the ANE package also. You can imagine ANE like a "blend" (well blend is the incorrect word here) of North Euro(mostly Northeast Euro), Caucaso_Gedrosia(mostly Gedrosia), Amerindian and ASI(South Eurasian). The ANE scores in Northwest Europeans seem to be mostly connected to their high Gedrosia frequency while the ANE frequency in Northeast Europeans mostly to their Northeast European frequency. Makes me wonder if Gedrosia doesn't simply get eaten up as "Northeast European" component and therefore we don't see any Gedrosia in them despite, the possibly PIE Yamna having a almost 1/3 of it. This and the reason that R1b of Yamna does not match R1b in EHG (thousand of years of mutation between them) makes me dispute the theory that all Near Eastern ancestry in Yamna is via female lineages. this would simply mean an almost 100% replacement of local woman. Even if we went with the alleged "30%" (which is much higher and likely at around >50%) that would still be close to 60% replacement of local women. Such events never happened and would never happen. Only possibility would be if we we assume that the Steppes were populated by a Maikop like group and the males were completely wiped out and females taken as brides. But than this doesn't fit, because there is no match between EHG yDNA and Yamna yDNA. There is only 1-2 EHG R1b (the rest are R1a) and even those 1-2 R1b are completely different from Yamna R1b. "The Proto-Kartvelian population didn't have much, if any, EHG because if it did you wouldn't see the TreeMix results above. So that's a good reason to doubt that it had any R1." You are using modern Kartvelian samples. How can you be sure that ancient Kartvellian samples had no EHG? This would be like coming to the conclusion that Bronze and Iron Age Armenians had no Atl_Med, North Euro and ASI based on modern Armenians. The whole Near East seems to had a East to West and South to North shift. Which is also clearly evident by historic accounts. former groups from Mesopotamia/Transcaucasus and Iranian Plateau seem to have migrated into North Caucasus. While the source regions themselves seem to have absorbed some additional "South Farmer" type ancestry (via Semites). What is nowadays North Caucasus like was once more Transcaucasus/Mesopotamian like. So why should ancient North Caucasians be not slighty more EHG shifted if the modern once obviously absorbed some southern ancestry? I am not even saying they would be halfway EHG. Just that I assume something in the 80% teal+10-20% EHG region. "Krefter you seem to have missed the various times when users made comments which actually tried to explain that 30-40% Caucaso_Gedrosia (aka West Asian) like component does not equal actual Near Eastern ancestry." Among these, all but BedouinB have some ANE on top of ancient Near Eastern which increases their portion in Yamnaya, while BedouinB is around that 40%. Lazaridis' numbers also align well with David's Treemix graph: a 57-59% Georgian edge makes perfect sense considering their ANE level is above Armenians but clearly below Northeast Caucasians and the Haak method would likely have produced virtually the same result. "that would still be close to 60% replacement of local women... Such events never happened and would never happen." So let's consider a similar situation, that gives the exact same result. R1b is the second most predominant Y haplotype found among indigenous Amerindians, while European mitochondrial haplogroups are quite rare. This could also have been the case in the origin of the successful Indo-Europeans. It would look the same as importing women to the steppe. But really it would be the invaded peoples becoming very successful as a result of being invaded. The nomadic, non-stationary lifestyle was the cultural contribution of the hunter-gatherers. And this new way of herding was what likely led this particular fusion of cultures to be so successful over such a large region." Animal domestication aka herding is said to have been evolved in the Near East as far back as 11000 years. It is simply another agricultural technique beside the typical EEF cereal farming, probably used in mountainous or Steppic regions which weren't so suited for classical cereal farming. I've tested El Trocs and didn't find anything unusual. It's a normal Neolithic Iberian with no teal. I didn't run ATP3 in the K9 because it doesn't offer enough markers. Actually, it doesn't have enough data to be analyzed properly with any test. Teal peaks in Georgians, so that's what we're basically talking about here, but I have no idea if this is relevant to the dolmen people. The groups that built dolmens in Western Europe probably arrived there before teal did. "Animal domestication aka herding is said to have been evolved in the Near East as far back as 11000 years." I know. And yet they moved across Europe at a rate of 1km per year. And even slower to the east. They domesticated the animals. But, they were sedentary. They moved within very small regions. The hunter-gatherers moved hundreds of km per year. Combining these cultures was the big new advantage. "R1b is the second most predominant Y haplotype found among indigenous Amerindians, while European mitochondrial haplogroups are quite rare. So I am asking you now by how much percentage do these Amerindians have yDNA R1b which came via Europeans? Is it close to 100% of male replacement as supposed here? I doubt it is even above 10%! My friend it simply doesn't work out. And as usual people simply seem to miss out another major point. R1b in EHG is very different from R1b in Yamna. There is thousands of years of mutation in between. "R1b in EHG is very different from R1b in Yamna. There is thousands of years of mutation in between." Everyone knows this. The haplogroups (1 data point) are not a problem if the autosomal SNPs (many thousands of data points) give a clear picture. So the sampled EHG weren't the exact ancestors of Yamna. And the sampled Yamna weren't the exact ancestors of the Corded Ware. And probably the sampled Corded Ware weren't the exact ancestors of most Europeans. But it is the trends that matter. They can't be denied. But that proves my point though, doesn't it? Obviously non of those populations are 100% Caucaso_Gedrosia but even the Bedouins can be labeled as 39% Yamna like. Thats because even Bedouins have some sort of WHG and ANE ancestry which absolutely without doubt is pre Yamna. This is why the 30% Caucaso_Gedrosia does not equal the total West Asian ancestry in Yamna. Among those sample groups listed above the Lezgians come closest to how the teal farmers would have been like. Just that they have some EEF. If they had more Gedrosia and less Caucasus they would be a good fit for Teal. And here some more food for thoughts. Northeast Caucasian languages are said to have close relationship to Hurrian and Mannaen. And among those Northeast Caucasian languages is Lezgian. Lezgians seem to be the result of a Proto_Caucasic speaking group from further South and a pre Northeast Caucasic group local to North Caucasus. "Thats because even Bedouins have some sort of WHG and ANE ancestry which absolutely without doubt is pre Yamna." "he published Y-Chromosome results of a Cherokee DNA Project by family TreeDna have been posted at 100% for European Haplogroup R! And this is very common among North American tribes." That was probably one study made on one single tribal group. What do you think, would more studies on Cherokee or Amerindians in general show a 100% male replacement? I doubt. In fact allot of self identified "Chrokee" are in fact simply Europeans also by majority of their autosomal DNA! Who simply claim Cherokee ancestry for obvious reasons as you might know. So this is not even remotely comparable to Yamna who are halfway teal farmers. Even than, despite the many false reports of "Cherokee" ancestry (often people are not even 1/8 cherokee!). There are 5 of total 17 samples who have typical Amerindian yDNA. Thats a total of 30%. This is by far not comparable to 100% male replacement. a 100% male or female replacement of a population never happened in history. Will anyone be attending or hearing from the ASHG meeting in Baltimore? Lazaridis et al will present on Oct. 9th. Hopefully they will explicate in greater detail the 60% G2a's and 40% other Y chromosomes haplogroups they found in Neolithic NW Anatolia. I am very sorry. I was totally incorrect. Clearly nothing like this has ever happened. The Yamnaya descended from a group of people who always had greater than 80% "EHG" Y-haplogroups and greater than 80% "Near-Eastern" mtDNA haplogroups. It is obvious that the labels that are wrong, because this can't happen. It is impossible. Although dating is not precise, the dolmen people were present in what is now Georgia / Abkhasia from about 4000BC and made a significant 'input' into the Maykop culture where dolmens became a significant element in the monumentality. I just wondered if the people who transferred that 'technology' could have also introduced the teal autosomal component into the Maykop/Steppe culture. As, to my knowledge, it is not certain if any human remains exist from the dolmen builders themselves (most remains are thought to be later intrusions), it is unlikely we will get aDNA of these people any time soon. Ate least you can acknowledge some rarer examples, right? Like how modern Melanesians and Aboriginal Australians derive about 8-9% of ther autosomal DNA from Denisovans and Neanderthals, yet have 0% Y or mtDNA haplogroups from those groups. That sounds a little like 100% replacement from the standpoint of some group. What is your cutoff where it is legit for counting? 50% of autosomal? I would like to answer Onur’s question. Johanna Nichols’ statement quoted in my previous comment is connected with her theory that Indo-European originated in Central Asia and spread from there to Anatolia, the Steppes and India, gradually changing as it spread. It is mentioned in various places on the Internet, but it is a little more difficult to find a complete statement of it from Nichols herself. I found out about this theory only several months ago, after finding out about the high levels of the West Asian / Transcaucasian / Caucaso-Gedrosia / teal component in the Yamnaya and Corded Ware cultures etc. This component must have come from a part of the Middle East or Central Asia to the east of the regions where the EEF European and Anatolian Neolithic component is important. I think Nichols’ theory is an interesting alternative to the more familiar theories placing the origin of Indo-European somewhere around the Black Sea. You should read the second part of that research also. "It's the other way around: the "Georgian-like farmers" were the ones who made their way into EHG territory. They also brought the Neolithic package with them there (though only part of it could be adapted to the steppe environment, mostly domestic animals)." I don't think it's quite right to speak of a "Neolithic package", though. The spread of agriculture and the spread of pastoralism seem to be two more-or-less separate events. Based on current data, the herding adaptation began in the sourthern Zagros and central Iranian plateau about 10,000 years ago. There is no indication so far that this was done, or was spread, by settled agriculturalists. "The cultures came from the south, in your opinion?" "The specialised pastoralist economy, the wagons, even the kurgan graves themselves, these all developed under the aegis of neighbouring agricultural communities, if not outright settlement." Indeed. Kurgans, for instance, were first erected south of the Caucasus by the Leyla-Tepe Culture, which appears to have been the result of peoples from the Northern Ubaid moving into Transcaucasia. "The nomadic, non-stationary lifestyle was the cultural contribution of the hunter-gatherers. And this new way of herding was what likely led this particular fusion of cultures to be so successful over such a large region." Except that it wasn't a "new way of herding". It was already at least a thousand-years old. Yes, it was originally an adaptation among mobile hunter-gatherers, but those hunter-gatherers were in Iran, not on the steppe. Herding spread to the steppe from the south probably during the seventh millennium BCE. "I recently came across such an idea in an article by Johanna Nichols: The epicentre of the Indo-European linguistic spread. In: Blench & Spriggs eds. Archaeology and Language I (1997)"
An excellent and fascinating article, to be sure. She published a companion piece in Volume II, also highly recommended. "Therefore I cannot write anything about Nicholls’ reasons for making this statement. Does anybody know more on this subject?" Basically, she proposes that languages have behaved in a regular fashion over the millennia, that they tend to spread west across the steppe and down roughly what would later become the Silk Road towards Anatolia. She does not accept that there was anything different or special about PIE, or any other language, that would lead us to assume it behaved differently. "Except that it wasn't a "new way of herding". It was already at least a thousand-years old. Yes, it was originally an adaptation among mobile hunter-gatherers, but those hunter-gatherers were in Iran, not on the steppe. Herding spread to the steppe from the south probably during the seventh millennium BCE." But this is the other side of the hill. So, maybe it's more of a territory situation at first. No farmers are going to go and take over the steppe without even having a farm. They won't last. So a little bit of ideas or people spread from the south, and there is some mixing in with the local hunter-gatherers. And then, these new people use their 'local' language and knowledge to spread their new way of life all over. Instead of chasing and tracking herds of animals, you can just walk around with them. "Instead of chasing and tracking herds of animals, you can just walk around with them." Or... no... This is totally crazy... But maybe you could ride on an animal too... No... Nevermind. However, around 6500 BC the "Teal"(Kalash) component did not exist among the first European farmers immigrants from NW Anatolia. The modern Caucasus populations are a 3-way mix of north Eurasian, Kalash like (Teal), and EEF and the data even from 1800 BC BA Armenia also supports this. Something happened to Western Asia between 6500 BC and the Bronze Age Middle East (Armenia as proxy). I think the whole idea is that these eastern 'ENF' farmers are only distantly related to EEF. So the model with EEF is not providing appropriate ancestral groups. And the teal results from this situation. "I have never come across any theory stating that the Anatolian IE languages came from Central Asia. Could you elaborate regarding what Nichols says on that issue if possible?" Nichols argues that PIE expanded out of an area roughly equivalent to Margiana, Bactria, and Sogdiana, spreading down what would become the Silk Road to Anatolia, and west across the steppe to Eastern Europe, just as we know that Turkish and Mongolian expanded in later eras. She maintains that there was nothing special about PIE or the people who spoke it, so there is no compelling reason to think that PIE behaved any differently. She states that it is the only solution demanded by the data. "Teal peaks in Georgians, so that's what we're basically talking about here"
Actually, it peaks in the Caucasus and Afghanistan. I understand why you're ignoring that -- and that there's no compelling reason to think this component was associated with farmers -- but you can't just ignore the data that doesn't fit your preferred narrative. "I know. And yet they moved across Europe at a rate of 1km per year. And even slower to the east." Not true, so far as I know. Herding spread quite rapidly across the Iranian plateau. Mehrgarh was settled before 7000 BCE or so, by a fully-deveolped Pre-Pottery-Neolithic culture that practiced goat herding. That implies that it crossed the plateau in less than a thousand years, perhaps much less. "So, maybe it's more of a territory situation at first. No farmers are going to go and take over the steppe without even having a farm. They won't last." I honestly don't understand what you're trying to say. I see no compelling reason to associate this teal component with farmers. Davidski says they were farmers, but after repeated requests for him to explain himself he has declined to do so. Agriculture did not spread like an ink blot on paper. It arrived at Mehrgarh quite early, for instance, because local conditions were conducive to agricultural production. It didn't arrive in southern Turkmenistan until about 6500 BCE, because until then the environment there would not support it. Herding, however, was much more adaptable to marginal environments. Consequently, it seems to have spread farther and more rapidly than settled agriculture. "So a little bit of ideas or people spread from the south, and there is some mixing in with the local hunter-gatherers." Judging by the admixture we find in Yamnaya, I'd say it's more like quite a few people spread from the south. This is what we might expect, given the improving climatic conditions at the time. This is one of the paradoxes of the steppe hypothesis. IE is supposed to have migrated with sheep herders, but only when they travel east across the steppe. When sheep herders travel north, they seem to leave their native tongue behind. ""... they moved across Europe at a rate of 1km per year. And even slower to the east." Not true, so far as I know. Herding spread quite rapidly across the Iranian plateau. Mehrgarh was settled before 7000 BCE or so, by a fully-deveolped Pre-Pottery-Neolithic culture that practiced goat herding. That implies that it crossed the plateau in less than a thousand years..."
Wow. That is amazing. So... Just about the same time frame as the Indo-Europeans. Very cool. The population that mixed with Eastern European foragers to form Eneolithic/Early Bronze Age Eastern and Central Europeans like Yamnaya and Corded Ware was very similar to present-day Georgian Mingrelians. The evidence is clear on this, and components generated with ADMIXTURE like "Teal" or "Gedrosia" are of secondary interest because they're artifacts of the data and methods rather then real populations. So did the Georgian-like population, perhaps the Proto-Kartvelians, migrate from Central Asia to the Caucasus? Maybe, but only in part, because Georgians are far too western to be entirely of Central Asian origin. R1b? Khvalynsk, Eneolithic, 4300–3800 cal BC 25%- teal??? "The earliest form of grape-based fermented drink was found in northern China, where archaeologists discovered 9,000-year-old pottery jars, while the earliest archaeological evidence of wine particles found has been in Georgia, where archaeologists discovered evidence of wine residue inside ceramic jars that were dated back some 8000 years"
"Shulaveri culture predates the Kura-Araxes culture..."
"Borrowed into Proto-Kartvelian from Proto-Indo-European............. "
How would you characterise modern Georgeians ;in terms of EEF: ANE:WHG? So you think the ANE part could indeed be central Asian ? Are you saying that the "teal" ENF are completly different from the "orange" EEF ? Georgians are 18-20% ANE and around 80% Near Eastern. Their WHG scores are usually very small, and probably mainly reflect WHG-like ancestry in the Near East. Their ANE could have come from Central Asia after the early Neolithic with the Proto-Kartvelians, but I think it's something native to the Caucasus distantly related to EHG. "What I'm struggling with regarding the western and eastern farmers hypothesis is how some paternal lineage expansion does fit in:"
I think the teal started somewhere around southern Kazakhstan and one branch went to India, one west towards Greece and one down towards the Levant and Arabia. The western branch arrived on the Pontic steppe either via the Caucasus or north around the Caspian (or a bit of both) where they had contact with the R1 people and then at some point either cos climate change or conflict (or a conflict sparked by climate change) they got pushed off the steppe by the R1 hence the mismatch in ydna and mtdna among Yamnaya. "This is one of the paradoxes of the steppe hypothesis. IE is supposed to have migrated with sheep herders, but only when they travel east across the steppe. When sheep herders travel north, they seem to leave their native tongue behind." Foot herders vs mounted herders. So Georgians are at the end of the day kinda like an Eastern "clone" of Sardinians with ANE instead of WHG? Yes, they're like the eastern answer to the Sardinians. But we need ancient DNA from the western Caucasus to confirm this. @ Va_Highlander's argument, if I'm following it, properly, yeah, Yamnaya looks like a fusion of people (fairly like the Georgians, but perhaps different) who would've introduced at least domesticated animals to the steppe, and people from the steppe. (Although, perhaps it could've been quite different, if the EHG were much more widely distributed across Central Asia). Doesn't seem like there's any reason why not and no evidence of an intrusive farming culture per se in the steppe; OTOH, of course it would lower our confidence that for example the pastoral central myths of PIE would be innovations in the steppe culture that formed (although still seems doubtful these people would've definitely spoken any IE language or that they spread it anywhere much themselves). "pastoral central myths of PIE would be innovations in the steppe culture "
If I understood you correctly, I'd clarify. No pastoralism isn't steppe -centred. It was a natural progression from farming, so its origins is very wide. But the steppe did have its own specific developments - like horse pastoralism of the Kazakh steppe, and extensive mobile cattle-herding of the Ponto-Caspian steppe. The latter, however, required some kind of impetus from farming communities, as it did not develop from 'native' forager traditions. For the Don-Volga regions of Yamnaya sampled thus far, it was not from the EEF guys, but the different 'eastern', ANE-containing agro-pastoralists. "Like how modern Melanesians and Aboriginal Australians derive about 8-9% of ther autosomal DNA from Denisovans and Neanderthals, yet have 0% Y or mtDNA haplogroups from those groups." Dear Karl a "total replacement" of male lineage by ONLY 8% autosomal DNA is simply called admixture and this can easily be described by female contribution. But we are talking here about 50%! this is a whole other level. If all this came via females that would mean a 100% female replacement and such thing never happened in history and will never happen. And as you rightly noticed yourself. "Clearly nothing like this has ever happened. The Yamnaya descended from a group of people who always had greater than 80% "EHG" Y-haplogroups and greater than 80% "Near-Eastern" mtDNA haplogroups. It is obvious that the labels that are wrong, because this can't happen. It is impossible." That is simply impossible. So the labels are wrong here. Also take in mind once again R1b is not just R1b. Between Yamna R1b and EHG R1b is thousands of years of mutation. So the R1b in Yamna must have a different source than R1b in EHG. of course I aknowledge that these kind of things can happen and happened in much lower degree. Like a group of people who were victorious over another, taken the females for their own tribes and mixing them among their own. This would mean at max a female replacement of 50%. But I simply doubt that the local females would have been completely replaced by foreign wives (and simply accept that, even the mothers of those males). This is why a 100% female replacement sounds ridicilously unlikely. "So, maybe it's more of a territory situation at first. No farmers are going to go and take over the steppe without even having a farm. They won't last. " Think about it this way, what reason would farmers even have at first place to leave their home? shortage of farming land. So what do you do? You leave searching for new farming land. Now they can't know that East and North of them it the land is Steppic before they reach the region. So the model with EEF is not providing appropriate ancestral groups. And the teal results from this situation." Teal is basically another group of farmers/herders who formed in the eastern parts of Western Asia, when a group of EEF met and merged with the local ANE H&G and became what we now calle Teal. Teal in my opinion would be something like 60/40 EEF/ANE. EEF and ANE do share majority of their ancestry but they drift in different directions through the ANE admixture in Teal herders. "EEF and ANE do share majority of their ancestry but they drift in different directions through the ANE admixture in Teal herders." I meant EEF(West farmers) and Teal(East farmers) of course. I don't follow your logic here. Between Yamna and EHG is thousands of years of time. So wouldn't we expect thousands of years of mutation even if Yamna were 100% derived from EHG? Kurti means that Samara HG and Yamnaya are wholly different branches of R1b, and autosomally different. This means that there was possibly a colonization of the steppe by a new population (M269) largely replacing older Y lineages (pre-M73, M73, possibly R1a). But this remains to be proven. I think both Karl and Kurti could be right. We need hard data. "I don't follow your logic here. Between Yamna and EHG is thousands of years of time. So wouldn't we expect thousands of years of mutation even if Yamna were 100% derived from EHG?" You need to follow the logic of paternal, maternal markers to understand this. When I say between R1b in Yamna and EHG there is thousands of years of mutation, this doesn't mean R1b in Yamna was born thousands of years after EHG. It means the two branches are divided by thousand of years of seperation. That means ,If R1b of Yamna had it's origin in EHG populations you would A. Either find some remnant of the EHG type R1b in Yamna, from which it must have mutated than. Or B you must find some Yamna type R1b in EHG which must have than mutated from upstream clades in EHG. because a Haplogroup doesn't mutated out of air (there must be a father clade present from which it must have mutated). Non of both is the case, because even EHG samples from roughly the same timeframe as Yamna belong to different R1b clade and there seems to be no connection. A Link is missing (some Yamna type R1b in EHG or some EHG type R1b in Yamna). "Non of both is the case, because even EHG samples from roughly the same timeframe as Yamna belong to different R1b clade and there seems to be no connection"
We have only 2 EHG Y DNA samples and one is R1b. Samara_HG had R1b1a1 which is a brother to R1b1a2. It's very possible that some EHG had R1b1a2 and Yamnaya R1b1a2a2-Z2103 descends from EHG. Thanks for the info. So you are referring to one of the theories that posit a Central Asian homeland for all Indo-European languages, and not just for the IE languages mentioned in Martin's quotation from Johanna Nichols. This settles the situation because I am already aware of some of such theories, they are not totally new to me. is there any autosomal connection between Kartvelian-speakers and Basques? I assume they both share ANE but, if so, how much ANE do Basques have and are there any other autosomal links between Kartvelians and Basques? Basques are essentially an Iberian Middle Neolithic/Copper Age population with 5-10% of ANE, depending on the type of analysis. Georgians are very different, with up to 20% of ANE, and ancestry from a different Neolithic Near Eastern population than the one that spread across most of Europe during the Early to Middle Neolithic. Another problem is that Basques probably got their ANE from a population rich in R1b-M269, and Georgians don't carry much of this marker. I suspect their ANE, or ANE-related ancestry, is very ancient to the Caucasus, and might not be linked to the introgression of R1a/R1b groups into the region. So I can't see any strong links between them. ""EEF and ANE do share majority of their ancestry but they drift in different directions through the ANE admixture in Teal herders." I meant EEF(West farmers) and Teal(East farmers) of course." This isn't how drift works. And the whole point of this post is to explain how Yamnaya have an EEF-like component that is NOT the exact same as the EEF we see in early Neolithic Anatolia and Europe. You are missing the point entirely. The middle-eastern (Bedouin-like) part of the present-day Georgian Mingrelians (and Yamnaya and Corded Ware) is NOT just EEF as seen in Western Europe that mixed with ANE to make Teal. It is from a different population of farmers who seperated from EEF even before they had picked up their WHG admixture. Georgian-like farmers are similar, but not the same as Sardinian-like farmers. They are not just West Anatolian EEF farmers who moved East and mixed with ANE. Likely there were even more than two groups of farmers from the middle-east. Bedouins themselves are likely descendants of a different group. They are similar to the middle-eastern ancestry seen in EEF and Georgians, but not the same. The differences between the groups go further back than the start of the Neolithic in Europe or West Asia. So, they seperated before that. They were different migrations from the original farmer source population (whoever they were exactly). "Another problem is that Basques probably got their ANE from a population rich in R1b-M269, and Georgians don't carry much of this marker. I suspect their ANE, or ANE-related ancestry, is very ancient to the Caucasus, and might not be linked to the introgression of R1a/R1b groups into the region. " Thanks for the info. But why can't we think of both Basques and Kartvelians as descendants of an ancient ANE substrate into which a later R1a/R1b introgression occurred in both Iberia and the Caucasus? This introgression was just more significant in Iberia, hence the greater dilution of the ANE component (5-10% in Basques vs. 20% in Kartvelians). Well, there wasn't anything resembling ANE in Iberia during the Neolithic. It probably only arrived there during the Copper Age, and became established there during the Bronze Age. My bet is that Georgians have something related to ANE that has been in the Caucasus since before the Neolithic. Although if it turns out that ANE only arrived there during the Eneolithic or so, maybe with Kartvelian languages from Central Asia, then that's OK too. "Well, there wasn't anything resembling ANE in Iberia during the Neolithic." Yes, but the Amerindian pull (vs. East Asians or Papuans) can be seen in Mesolithic La Brana, which can be seen as the same as the ANE effect. The Neolithic impact on Iberia was just very strong, but still not as strong in Iberia as it was in Sardinia. And this ancient foraging, Paleo-Mesolithic ANE population in Europe (from the Caucasus to Iberia and from the Caucasus to northeast Europe) was likely subdivided into R and C Y-DNA lineages from the get-go. R just prevailed over C over time, plus other lineages came in with farmers and others. Well, you're talking about the ancestor of ANE and WHG there, not just ANE. La Brana is WHG, and WHG as well as closely related lineages were all over Europe and the Near East during the Mesolithic, and later made up a significant portion of Neolithic farmer genomes. Yes, but WHG is not what La Brana, Basques and Kartvelians have in common. ANE is, though. As Olalde et al. 2014 wrote, "Outgroup f3 and D statistics) ... support that Mal’ta is significantly closer to La Brana 1 than to Asians or modern Europeans (Extended Data Fig. 5 and Supplementary Information). These results suggest that despite the vast geographical distance and temporal span, La Brana 1 and Mal’ta share common genetic ancestry, indicating a genetic continuity in ancient western and central Eurasia." I guess the difference between you and me is that I see the genetic history of Europe as the progressive dilution of an ancient ANE ancestry with its better survival in such enclaves as the Caucasus, northeast Europe and Basques (via La Brana), while you exclude Basques from this scenario and attribute their ANE to a later, secondary introgression. But this would require a seemingly redundant scenario whereby ANE got to Iberia twice - first as part of Olalde's "genetic continuity in ancient western and central Eurasia" and second as part of a later R1b-carrying population. La Brana is WHG, like Loschbour, with which it forms a clade. So by definition it doesn't have any ANE, which is a sister clade. The reason La Brana shares more drift with MA1 (ANE) than present-day East Asians and Europeans do is because East Asians and Europeans have East Eurasian and Basal Eurasian admixture, respectively, which are more highly divergent from ANE than WHG is. This is not my opinion, it's covered in Lazaridis et al. Yes, but Lazaridis and later Seguin-Orlando et al. 2014 linked ANE and WHG into a "West Eurasian UP" clade opposed to both EHG and Basal European, so it is one and the same ancestry, whichever way you call it. Kartvelians and Basques share ANE, but they don't share WHG. "West Eurasian UP" encompasses ANE and WHG, so how can WHG be closer to EHG and Basal Eurasian than those two are to ANE? May be I just misunderstood you. It's late here in the U.S.
ANE, WHG and EHG are all closely related, but separate sister clades, and can be modeled in different ways with the currently available ancient samples. But EHG is basically intermediate between WHG and ANE. Eastern Eurasian (or Eastern non-African) and Basal Eurasian are not sister clades with ANE/WHG/EHG, therefore any population that includes admixture from Basal and East Eurasian will appear to be more distant to ANE/WHG/EHG than they are to each other. Moreover, Basal Eurasian is significantly more divergent from ANE/WHG/EHG than East Eurasian is. Just a dumb thought here. But is there a way to check if the 'Basal Eurasian' component seen in Kostenki14 is any closer to these Georgian's 'middle-eastern' ancestry? Has everyone just assumed now that Kostenki14 was either contaminated or a dead end? @ Rob: I'm not sure you have understood me correctly; I'm saying that if a group which was already pastoralist mixed with a group with a long history on the steppe to form Yamnaya, who were heavily pastoral, it would of course be plausible for many pastoralist features of their myths to have existed in the incoming group prior to admixture. Certainly pastoralism is possible (and likely) in a range of environmental conditions. What links Georgians and Basques is not the ANE. In fact it is the ANE that makes them very different and places them in a different corners of PCA. My opinion is that what links them is the ENF. I analyzed very carefully the Kartvelian G2a-P16 and I must say that it is extremely improbable that G2a-P16 came from Iran/Central Asia. It came from a nearby place, either Anatolia or Eastern Anatolia bringing with him ENF. I have no idea. But Cypriots and Turkish (Sephardic) Jews have around the same amount of Basal Eurasian as Georgians, judging by PCA and ADMIXTURE. So maybe these stats are of some use? Most probably in West Asia there was a second wave of farmers/herders by J2/ANE people coming from Zagros/Iran. This J2 people assimilated the earliest G2 farmers languages. They moved into Balkans and continued to push into Europe. It is possible that Vasconic languages in Balkans ( if they were present there ) were erased by this J2 people long before the arrival of IE. Georgian survived this second wave in the Colchian refuge (where their G2a-P16 reachs it's highest levels). The Basque survived in Iberia. At the end we get Vasco-Georgian connections. There are no real Basque-Georgian connections. Basque shares more with North-West Caucasian languages than with Kartvelian ones AFAIK. There was a theory of such kinship but it is not popular even in Georgia now. And what about the burials? For example, the use of red ochre in them. So it seems that these "Georgian-like farmers" entered the steppe, bringing pastoralism and their burial rites from Iran/Turkmenistan and surroundings with them. Interesting. Could it mean something? Ah yes, the "proto-Kurgan" Leylatepe culture mentioned above (Azerbaijan, 5th millennium) a predecessor of the fully kurgan Maykop culture. Maybe they are also somehow related to all this phenomenon? "We have only 2 EHG Y DNA samples and one is R1b. Samara_HG had R1b1a1 which is a brother to R1b1a2. It's very possible that some EHG had R1b1a2 and Yamnaya R1b1a2a2-Z2103 descends from EHG. " There is allot of time (at least 5000 years) between z2103 and the other two. OK argument with only 2 EHG Y DNA accepted. But what about Yamna wouldn't we expect to find at least one of the EHG type R1b? and there are many samples. This combined with the argument/almost fact that a 100% female replacement is impossible and there is 70% farmer type mtDNA in Yamna (that means indeed a 100% didn't and couldn't have happened). It looks very unlikely that all the ydna found in Yamna would be EHG derived. Let's just wait for samples from South_Central Asia, West Asia and North Caucasus. Something tells me big suprises will come up. Especially on the Iranian Plateau, South_Central Asia and North Caucasus. "Wow. That is amazing. So... Just about the same time frame as the Indo-Europeans. Very cool." Glad you're impressed. I however must await evidence and a compelling argument, before sharing your enthusiasm. "The population that mixed with Eastern European foragers to form Eneolithic/Early Bronze Age Eastern and Central Europeans like Yamnaya and Corded Ware was very similar to present-day Georgian Mingrelians." Okay. So, you no longer maintain that this teal component came from farmers? Otherwise, you seem to be answering a question I did not ask. "I think the teal started somewhere around southern Kazakhstan and one branch went to India..."
Interesting. On what site or sites in India and Kazakhstan are you basing this theory? "Foot herders vs mounted herders." Ah, that makes sense. They packed their language in saddle bags, I suppose. Occam's Razor. All things being otherwise equal, the simplest hypothesis explaining the evidence we have is more likely to be correct. Lots of scenarios are possible. The question is which is the most probable relative to the rest. The more complicated the model, the greater explanatory power it must have in order to be likely. "It was a natural progression from farming, so its origins is very wide." Actually, the evidence we have suggests otherwise. Herding seems to have been a natural progression from hunting, not farming. I think it's unclear whether the adaptation originated at more than one site in Eurasia. "Eastern Eurasian (or Eastern non-African) and Basal Eurasian are not sister clades with ANE/WHG/EHG, therefore any population that includes admixture from Basal and East Eurasian will appear to be more distant to ANE/WHG/EHG than they are to each other." Sorry, last night I confused EHG with "Eastern Eurasian". This said, in Seguin-Orlando et al. 2014, "Eastern Eurasian" forms a clade with ANE/WHG/EHG to the exclusion of Basal Eurasian. "What links Georgians and Basques is not the ANE. In fact it is the ANE that makes them very different and places them in a different corners of PCA." Which PCAs are you talking about? How can Georgians and Basques be polar opposites of each other in terms of the fraction of ANE ancestry if Basques have 5-10% and Georgians have 20% ANE, so it's a matter of varying degree of ANE, not difference in kind. "There are no real Basque-Georgian connections. There was a theory of such kinship but it is not popular even in Georgia now." Yes, I'm aware of that. My curiosity regarding possible Basque-Kartvelian autosomal connections stems from my old research published in The Genius of Kinship (2007) in which I observed a remarkable correspondence between Basque, Burushaski and proto-Kartvelian (surviving in Svan) pattern of sibling classification. It's a unique ethnolinguistic feature otherwise not found in Eurasia at all! What I expected to find in North Caucasian (based on the Sino-Caucasian hypothesis) I instead found in Kartvelian. So I began wondering if it's a survival from some kind of proto-language that's older than Nostratic and Sino-Caucasian but from which both of them split. The best autosomal match I could find so far is ANE. "The middle-eastern (Bedouin-like) part of the present-day Georgian Mingrelians (and Yamnaya and Corded Ware) is NOT just EEF as seen in Western Europe that mixed with ANE to make Teal. It is from a different population of farmers who seperated from EEF even before they had picked up their WHG admixture." Actually it seems like you didn't even miss the point you also missed out allot of more. 1. WHG was not "picked up" somewhere in Europe or the Near East. 2. This "WHG" (How you call it) was always a freakn part of the earliest farmers. And it's not really WHG. 3. Even Bedouins have some sort of "WHG" type ancestry which came in connection with their EEF related ancestry. A group of EEF people moved into Southern_ Levant and Northeast Africa. There they picked up some SSA related ancestry. And this drifts to a new component known as "Red Sea" (The Red Sea or Southwest Asian showing up in EEF is the EEF portion that formed with some SSA to become Red Sea) This formed a third farmer group, what I call here "Southern farmers". 5. So this other farmer group didn't formed "before EEF picked up WHG", because "WHG" related ancestry makes up ~50-70% of the entire EEF ancestry. What happened here is a EEF like group merged with a ANE like group, this new group stabilized and drifted into something new known as teal. ~10% of the UHG type ancestry in EEF what shows up as WHG was deluted by roughly half, what ends up around ~5% And this is roughly the percentage of WHG in modern Teal like populations such as Georgians. Note "Southern Farmers" wouldn't be entirely Red Sea. Southern Farmers would be more like ~70% Red Sea and 30% Mediterranean in my book. "Likely there were even more than two groups of farmers from the middle-east. Bedouins themselves are likely descendants of a different group. They are similar to the middle-eastern ancestry seen in EEF and Georgians, but not the same." "The differences between the groups go further back than the start of the Neolithic in Europe or West Asia. So, they seperated before that. They were different migrations from the original farmer source population (whoever they were exactly)." This is the part where I don't agree with you. If the farmers ultimately started off in one society (what they did) somewhere around Southeastern Anatolia (actually North Mesopotamia) and Northern Levant, than this group must have belonged to the ultaime and Proto farming aDNA. This in my opinion was imo very EEF like. Than the first groups to leave and expand into other parts of the Near Eastern came into contact with other groups, merged with them and drifted into new stabilized farming/herding communities. In the East this must have been very ANE like groups, in the South Basal Eurasian and some SSA like groups. This must have happened roughly around the mid-late Neolithic. By that time we would have many different but yet by majority of their aDNA related agricultural communities. Yes, the 50%-60% admixture of the "Georgian-like farmers" in Yamnaya is impossible to explain by exogamy with women from the Caucasus. As you say, it requires 100% replacement (and more) of the local female population, which is absolutely ridiculous and actually proved wrong by the good amount of HG mtDNA found already in Yamnaya/Afanasievo. EHGs Y-DNA lineages are probably dead ends. "Think about it this way, what reason would farmers even have at first place to leave their home?" What evidence do you have that this had anything to do farmers? "So you are referring to one of the theories that posit a Central Asian homeland for all Indo-European languages, and not just for the IE languages mentioned in Martin's quotation from Johanna Nichols." That is correct. If we suppose that PIE originated somewhere around Afghanistan, and assume that it behaved just like other languages have historically behaved in this part of the world, such a model accurately predicts the observed distribution and phylogenetic relationship of IE languages. "On the step, pastoralist features do not appear much before 4500 BC." That seems to be the case. Pastoralism did not become widespread throughout the Eurasian steppe until ca 3000 BCE. "Most probably in West Asia there was a second wave of farmers/herders by J2/ANE people coming from Zagros/Iran. This J2 people assimilated the earliest G2 farmers languages. They moved into Balkans and continued to push into Europe." On what archaeological site or sites are you basing this theory? "So it seems that these "Georgian-like farmers" entered the steppe, bringing pastoralism and their burial rites from Iran/Turkmenistan and surroundings with them. Interesting. Could it mean something?" That is the US$10,000 question. Most supporters of the Steppe hypothesis seem to think language and culture are very strongly coupled. Their argument for an IE language wandering east across the Eurasian steppe depends upon it, but you can't have it both ways without special pleading or a very compelling argument. "Ah yes, the "proto-Kurgan" Leylatepe culture mentioned above (Azerbaijan, 5th millennium) a predecessor of the fully kurgan Maykop culture. Maybe they are also somehow related to all this phenomenon?" That, too, is a very interesting question. Maykop may be a successor of Leyla-Tepe or it may be a parallel development, but certainly seems related. It could be related to that teal component entering the steppe, but I suspect, albeit without evidence, that it was the result of an earlier event. You don't get the source of East/West difference in PCAs. Basques and Georgians are (almost) polar in terms of East/West variation not because of ANE admix differences but due to extremely different WHG/ANE ancestry ratios. Basques are WHG-rich EEFs plus some Paleoeuros (WHG) plus a little ANE. Georgians are very basal farmers (low WHG) plus quite a lot of ANE. So Basques have like 2x WHG compared to ANE while for Georgians its reverse. It is precisely the somewhat similar (although Basques are certainly less Basal than Georgians) ratios of Basal to Crown Eurasian (WHG+ANE) that make the two pops similar. As for the language groups my guess is ANE might have a lot to do with proposed Sino-Caucasian macro family. "It looks very unlikely that all the ydna found in Yamna would be EHG derived." Almost 100% of Yamnaya belongs to R1b-Z2103. It's a founder effect. We see this in Y DNA all over the world. R1b-Z2103 is either Near Eastern or EHG. It can't be both.